For construction in plywood, or as a mould for grp/frp. 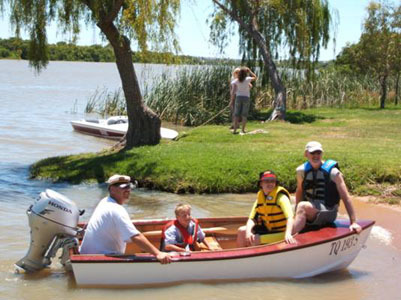 Rowing dinghy. 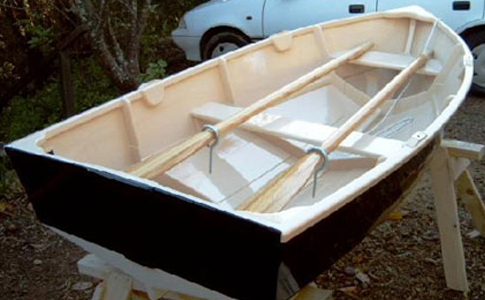 Ideal safe family dinghy made from two sheets of ply. 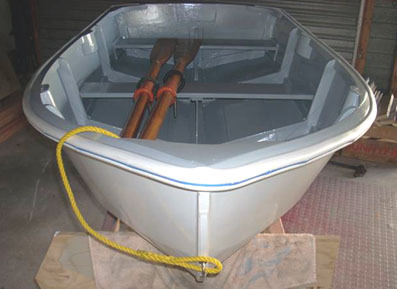 6’6″ (1.98m) or 7’3″ (2.21m) car top dinghy. Beam of 3’6″ (1.07m) she weighs only 65 lbs. Takes up to 7hp o/b. 8’6″ (2.59m) or 9’3″ (2.82m). With a beam of 4’7″ she weighs 72 lbs. 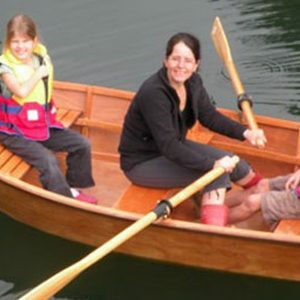 Light enough for a child to row but big enough for adults. 10’6″ (3.2m) or 11’3″ (3.42m). 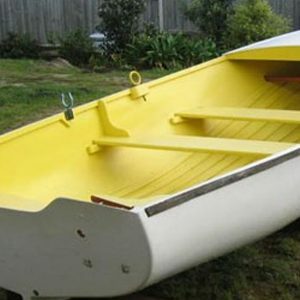 A car-top dinghy that is a planing hull, will tow skis with 18hp or over. Planes with a 10hp. A small seagull will push her for fishing etc. Can be towed at over 20mph, and her 5′ beam gives her ample stability for children to play in. 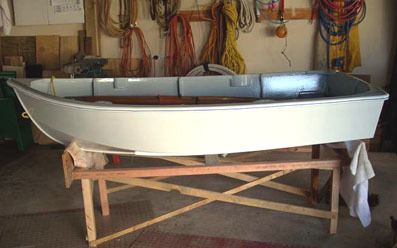 Can be built with or without foredeck. Weighs approx 80lbs. Plans contain a main materials list as well as full size frame patterns.